One of the prized natural building materials is woods. That’s because the highly available wood is naturally beautiful with its structural characteristics. Of the commonly used woods, Ipe is special. It’s excellent for exterior projects due to the superior way it weathers. 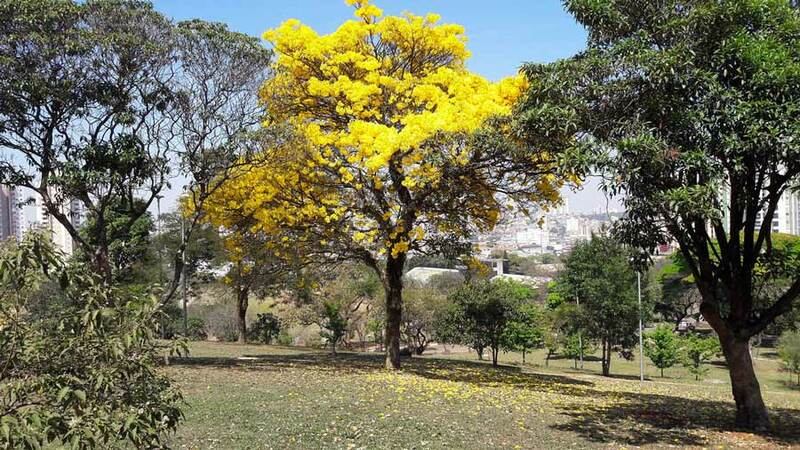 Ipe, known as ornamental trees with beautiful flowers, grows from Central America to Northern Argentina to Chile. Some species of Ipe have bark that is used for medicinal needs. We will focus on the species found in the Amazon basin known as Brazilian Walnut. It is logged to produce lumber. Brazil is where most of the trees used for commercial timber are produced. The Brazilian Walnut grows to approximately 100 feet with a two to three-foot diameter. Some trees can grow to 140 feet with as much as a six-foot diameter. An Ipe is found in low densities. Therefore, extensive areas of forest have to be harvested to produce enough lumber available for commercial use. The hard, dense wood is also oily which makes it naturally resistant to termites and other insects. 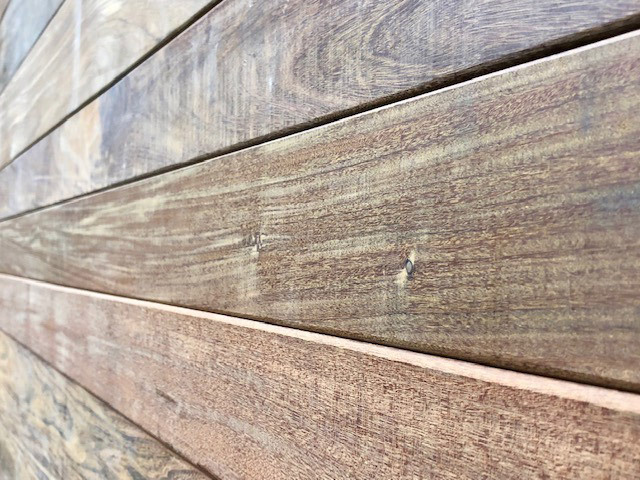 With the combination of hardness, high density, and decay resistance, the wood is durable with excellent weathering properties. For example, Ipe is used at the Coney Island boardwalk and lasted 25 years before it had to be repaired, despite the extensive pedestrian traffic and the salt-water environment. The wood’s texture is medium to fine, and the color of the wood varies from brown to dark brown. Sometimes the brown has black stripes. In addition, there are often yellow deposits in the pores, and the grain is typically straight but can be interlocked and irregular. As far as the sapwood, it’s usually pale white. Working with Ipe is difficult. Cutting edges dull quickly. In addition, screw holes need to be pre-drilled. Gluing is also tricky due to the oil content combined with the high density. Also, the yellow deposits make it difficult to accomplish the finishing, and it does not take a painted finish. The wood will turn well, but because the grain is irregular, it can tear when the lumber is surfaced. Although Ipe is not great for furniture and cabinetry, it’s excellent for exterior decking and siding. When the kiln dries, it’s useful for interior flooring. When installed properly and maintained correctly Ipe can last for up to 50 years. The kind of Ipe decking can be found in milled nominal sizes with eased edges. It’s also very common to find components for railings and stairs out of the material and manufacturers have various fasteners to use with Ipe. 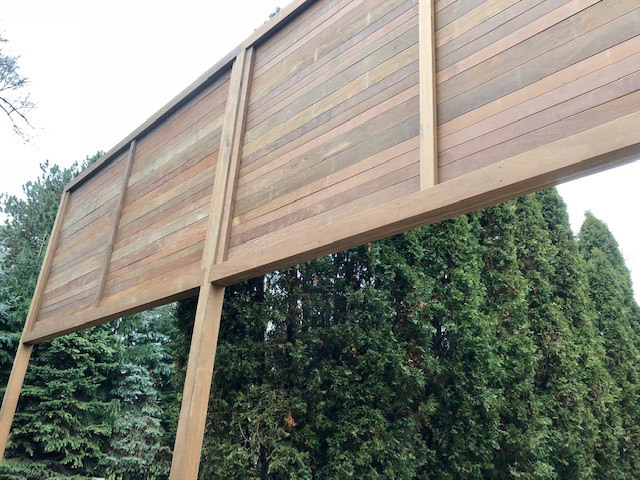 When the wood is used for exterior applications, it’s typically air-dried. Keep in mind that Ipe can season quickly. When exposed to direct sunlight, it can surface and end check before it can get used to the conditions. You can find kiln dried Ipe, but if you’re going to use it for interior projects, you need to check for density and hardness. Ipe can be expensive. However, over time, it can be a bargain. The demand for Ipe is high, and the issue of over-harvesting and cutting illegally are valid concerns. If you’re going to work with Ipe is advised to get wood sourced from plantations or harvested by certified suppliers. When you buy responsibly, you maintain the future of wood for future builders. 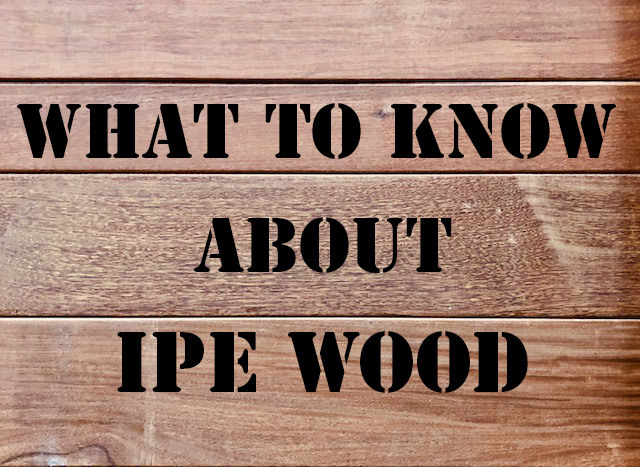 Some people call Ipe a wood of extremes – density, hardness, etc. This has the high potential of limiting Ipe to exterior use, people who work with it should look beyond the price and decide what they want to see on decks in 25 years. At DeckCrew.ca is specialized in working with IPE lumber. We source it from certified suppliers. Contact us if you need help with your next project.